Former Congressman, John Conyers, has introduced a slavery reparation bill every year from 1989 until his retirement in 2017; all failed to gather enough support. 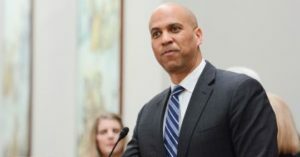 Last week, Senator and 2020 Democratic presidential primary contender, Cory Booker, reintroduced the proposal. Support appears to be growing with at least eight other presidential contenders partially supporting the bill. If you look closely, you can see patterns in social mood that help you predict social trends. Learn more with the Socionomics Premier Membership.